Boot up TTS and find the main menu. 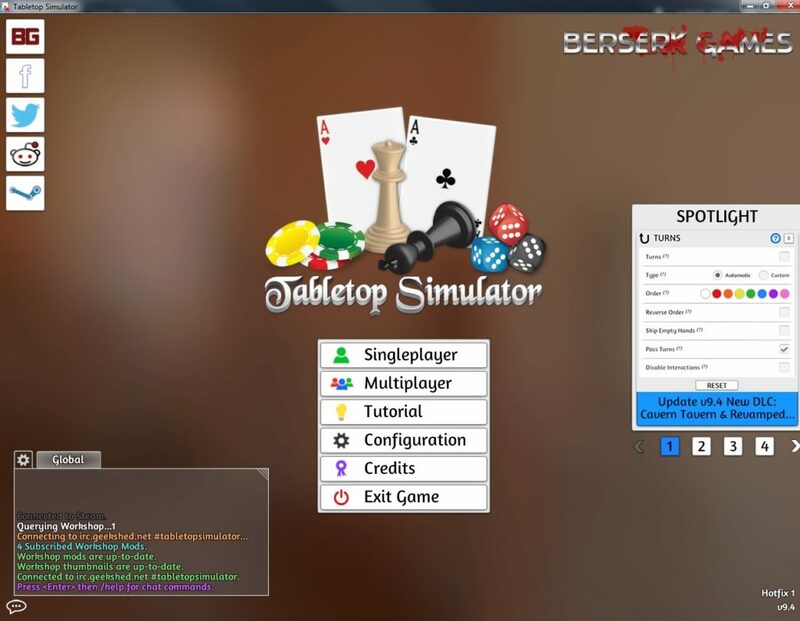 Click “Single Player” so that you can work on your game without being disturbed. You’ll still see chat from the main room, but you can ignore it. When you go into single player you’ll be confronted with a host of games to play. Ignore all of them and hit the “X” at the top right corner of the screen. 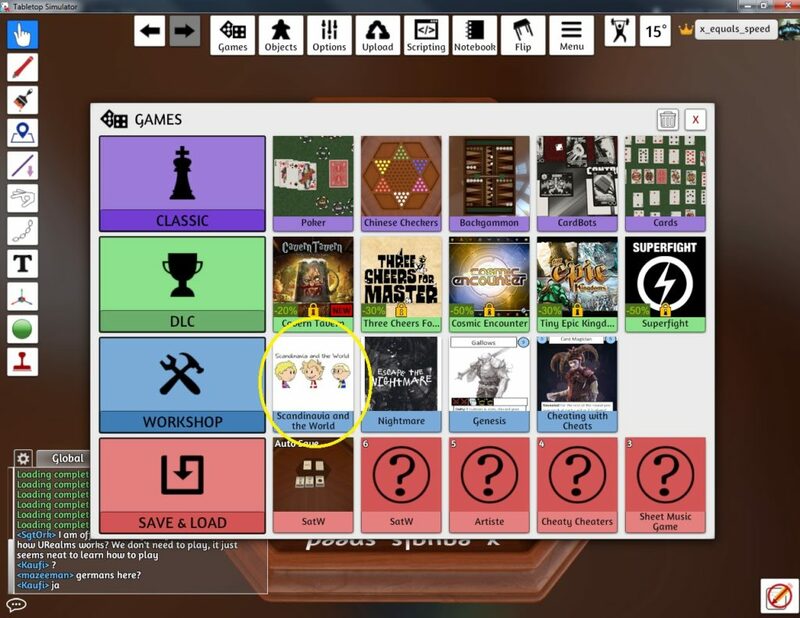 These are just shortcuts for opening other people’s games and you’re here to make your own! Face: A link to the images for the front of the cards. Back: A link to the images for the back of the cards. Unique Backs: If this is checked then the software will treat the image at “Back” as one image and paste it onto the back of every card. Otherwise it’ll treat it as several different images and chop it up, putting a bit onto the back of each card. Back is Hidden: If you want a double sided card, but want it to be ambiguous what a player is holding in their hand check this box. It will ensure that the card backs are not displayed to the other players while it is in your hand – instead the last card in the face image will be displayed. Width & Height: “Face” linked to a single image, but that image contains the images for all of the cards in the deck. These tell the software how many images are in the super image. 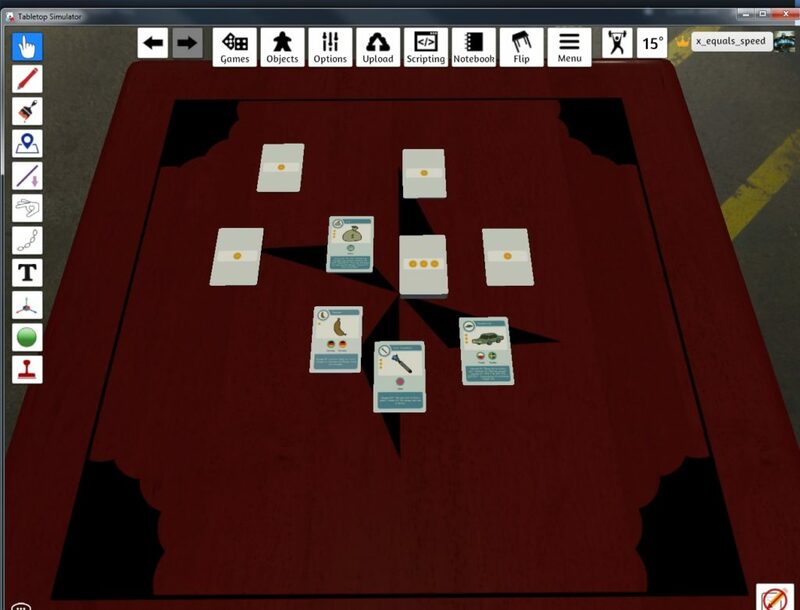 Once your deck is imported into the game, you can drag and drop individual cards to set up your game however you like. 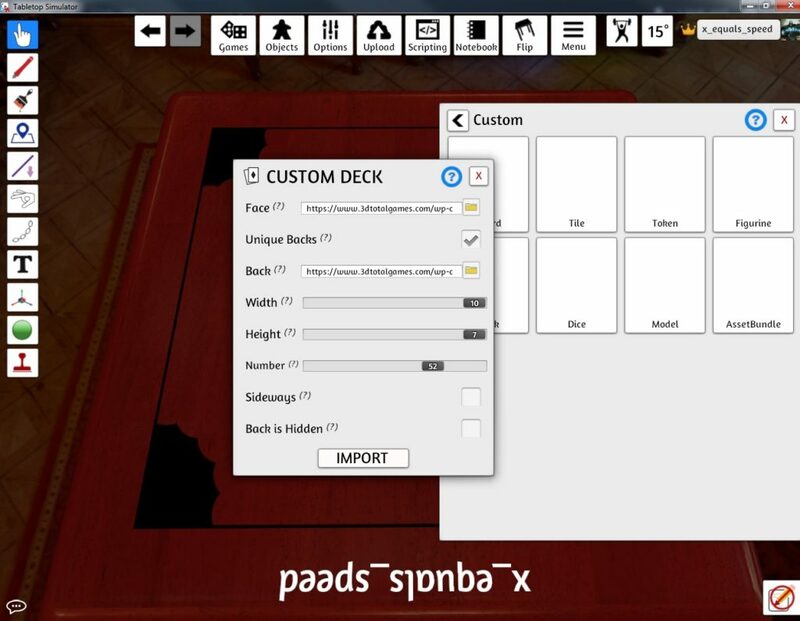 This is how players will encounter it when they load the mod, so doing as much setup as possible is good – but bear in mind that any randomisation will be saved, so if you shuffle a deck then everyone who loads your mod will get the cards in the same order. 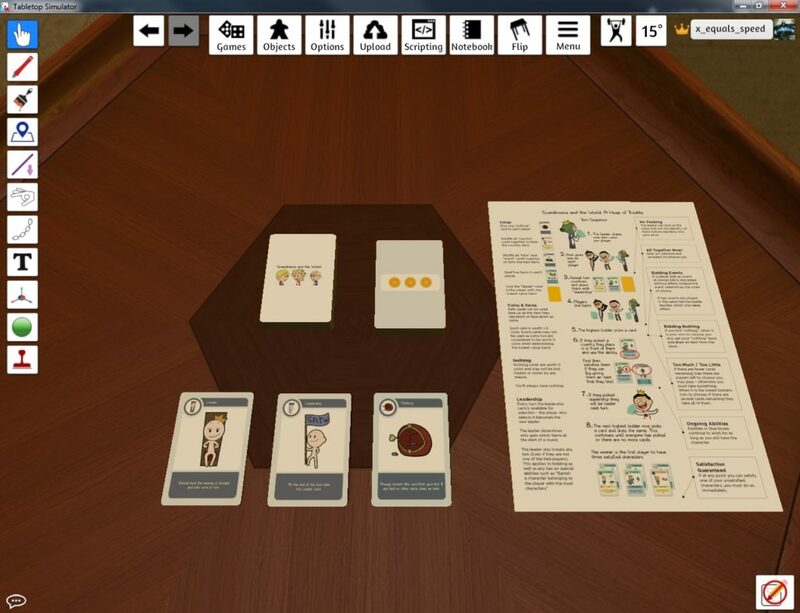 Resize the cards: Press “+” or “-” while holding to rescale the card. Zoom: Holding “ALT” on mouse over will show a zoomed in version of the card so that you can read it more easily. Delete a card: Hit DEL while holding the card. Once you’re happy that your game is as you’d like your playtesters to find it, it’s time to upload it for the internet at large to see. The upload button is pretty self explanatory – you give the game a title, a description and tag some types and a player count and then hit go. The only pitfall is that you’ll need an image for the workshop thumbnail. 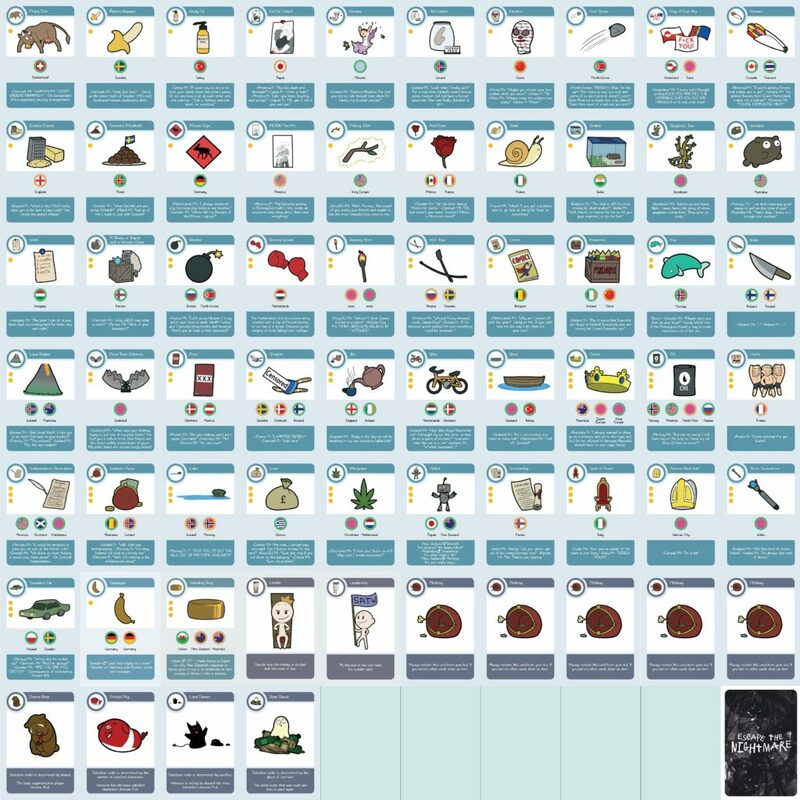 This image needs to be square and will be displayed at 100×100 or 256×256 depending on where someone is looking at it. 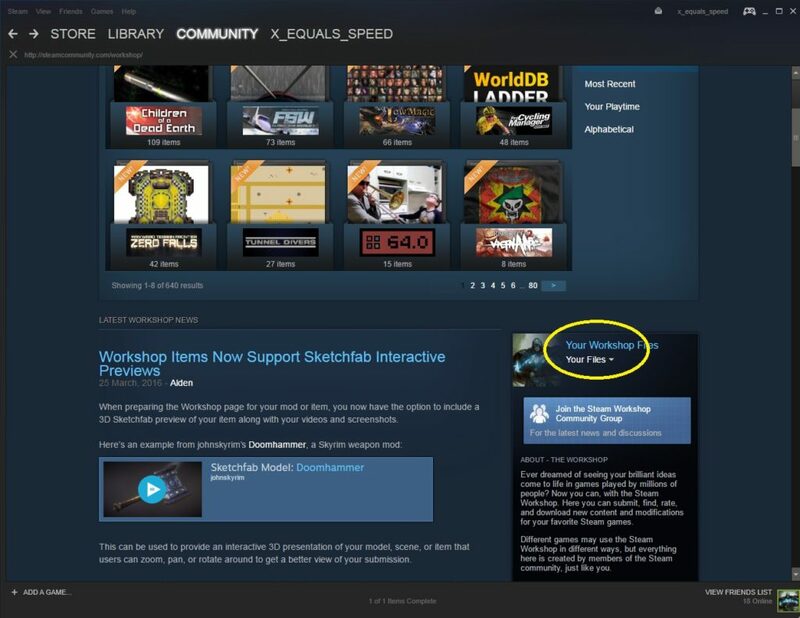 Once you’ve uploaded it, quit out of TTS and have a look at steam. 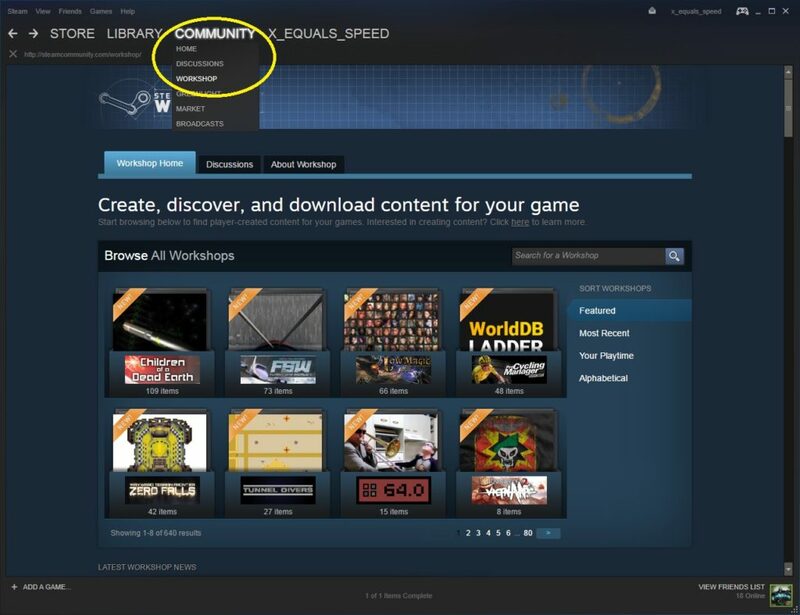 Hit Community and then Workshop to get to the steam workshop. Then scroll down a bit and click on “Your Files” which doesn’t look like a hyperlink, but it is! That’ll show you your uploads and you can pick your newly uploaded game. At the top left is a URL. That’s the URL that you want to give to anyone who is planning on playing the game – it’ll lead them to this page and they can hit the “Subscribe” button which will mean that they automatically download updates to this game from now on. Go ahead and subscribe to your own game! The “owner controls” at the bottom left are also pretty handy. As well as putting some more detail into the games description, you can also include a link to your site about the physical game. Finally, whenever you change the mod that little line that says “6 change notes” will update. 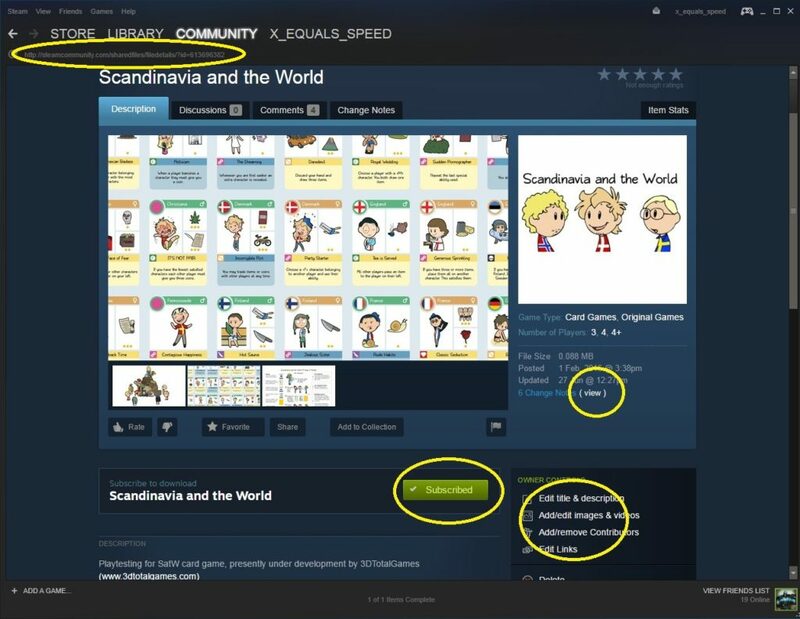 If you hit the view button, you’ll see steam says something like “Modified on date X” You can edit the change notes to display what you actually did if you like. 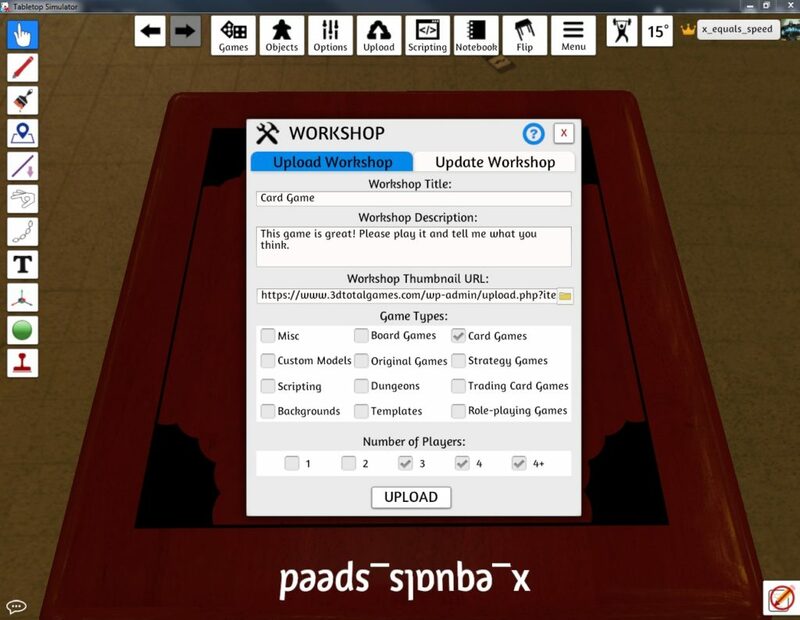 Once you’re happy with the workshop page, boot up TTS again to make sure that it all works. 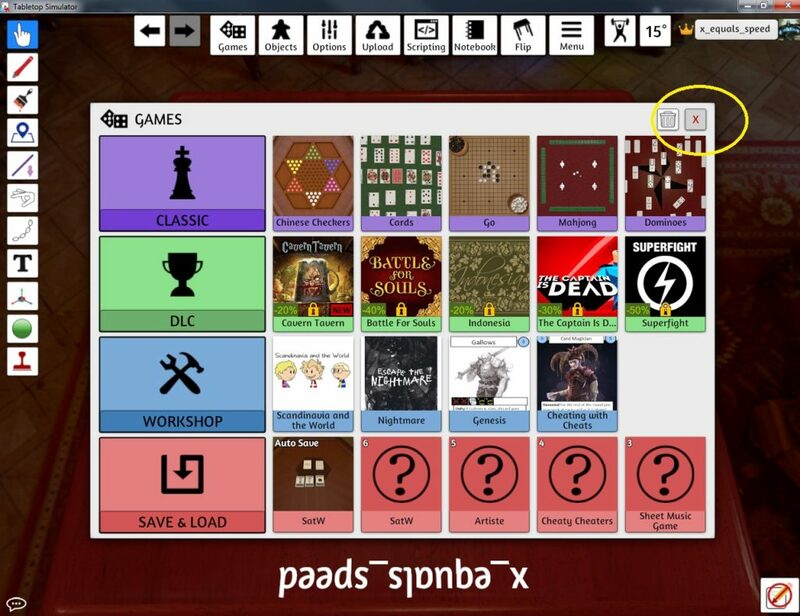 If you uploaded and subscribed correctly you should see your little square image displayed on the “workshop” row. Give it a click and see what happens. All going to plan you should now be looking at your game, exactly as you’d like a new player to see it. If that’s what’s happened, great! Now you just need to tell people it’s there and you’ll be able to enjoy playtests with people all over the world without needing to create and post a million prototypes. Obviously there’s more that you can do beyond this brief tutorial: You can see that I’ve changed the table and included a rulesheet as well as the steps previously taken. I couldn’t possibly highlight all of the components you might want your game to improve, but you can’t go wrong by playing around in the “objects – custom” category and trying things out. 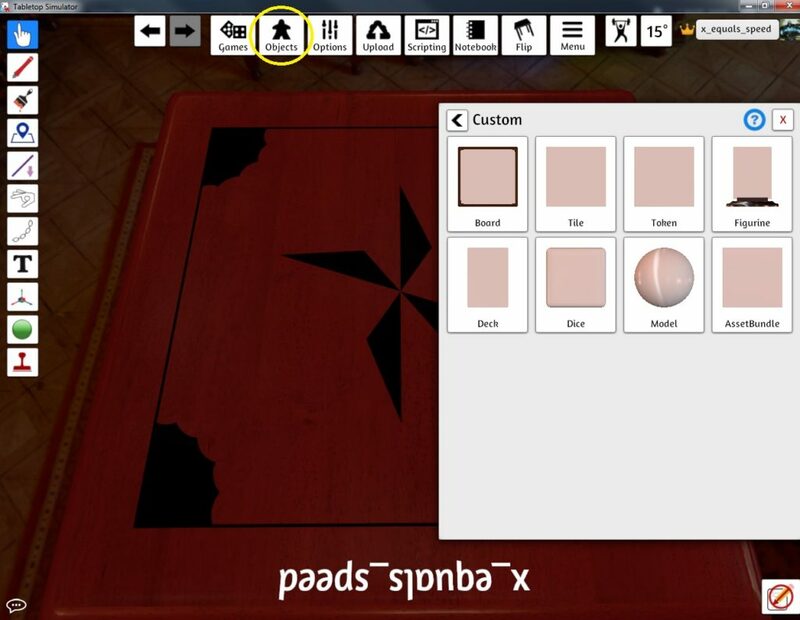 This entry was posted in resources for game designers, satwgame by greg. Bookmark the permalink. How do I make a mega Image for cards? Is there any tool I can use for making it easy? Sorry I took so long to reply, I just saw this. I have a powerpoint presentation saved that is just one (big) slide with boxes laid out in the correct pattern. Then I can just drag and drop card images over the boxes to create the image needed. Powerpoint can’t save out as a jpg, but it will save out as a html file in which case it creates a single jpg of the whole slide which is just the right dimensions to be immediately uploaded and just work. There’s probably a better way, but despite its abuse of software for things it was never intended for it’s actually really quick, just a series of drag and dropping followed by 3-4 clicks.